As natural gas and renewables become more popular than traditional power supplies, a lack of diversity could become a concern, according to a new industry study. Diversity in the U.S. power supply — the most cost-effective means of managing the inherent risks in fuel costs and technology performance in generating power — could be dramatically reduced in coming decades, according to “The Value of U.S. Power Supply Diversity,” the new study by IHS, a leading global source of critical information and insight. Fuel and technology decisions on new supply that will determine as much as one-third of U.S. power supply are required in the coming decades to meet growth in power demand, replace retiring power plants and satisfy proposed environmental regulations, the study reports. A combination of such factors as chronically depressed wholesale power prices, proposed environmental regulations and a focus on renewables and natural gas over coal, oil, nuclear and hydroelectric power plant is currently moving the United States toward a significant reduction in power supply diversity. To illustrate the point the study notes that if the U.S. power sector had been all natural gas-fired since the year 2000, the average fuel cost for power would have been over twice as high and month-to-month power bill variation would have been three times greater. The study reports that incidents during last winter’s polar vortex — when colder-than-normal weather brought on deliverability challenges and price volatility for natural gas used to generate power — demonstrate the value of diversity. 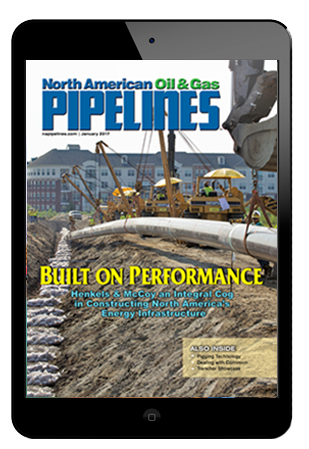 Greater demand for natural gas and electricity to heat homes and businesses in the U.S. Northeast strained the capability of pipeline systems, which led to localized price spikes. At some points for brief periods, additional natural gas was not available at any price. Oil-fired power generation — although accounting for only 0.35 percent of generation in the Northeast in 2012 — provided a critical alternate supplement to the over-strained natural gas supply system during the polar vortex, generating power that would have required delivery of 140 million cubic feet per day of additional natural gas supplies if gas generation had been the only generating source available, the study says. In the Midwest, the increased use of coal-fired power plants played a similar role providing a necessary substitute for constrained natural gas-fired power plants during the cold snap, the study also notes. In coming decades, natural gas’ share of U.S. power generation could rise to nearly 62 percent; more than double its share in 2013. Previous IHS research has documented the substantial benefits of the recent boom in U.S. natural gas production — led by the growth of shale gas — which has dramatically increased U.S. supplies and energy security while generating significant economic benefits in terms of jobs, investment and government revenue. However, the importance of maintaining a level of diversity in the power sector should also be part of policy and decision-making, the new study says. To illustrate the importance of power supply diversity at the national level, the new IHS study compared a base case — reflecting the current generation mix in regional U.S. power systems during the 2010-2012 period — with a reduced diversity case involving a generating mix without meaningful contributions from coal and nuclear power and with a smaller contribution from hydroelectric power along with an increased share of renewable power. The remaining three-quarters of generation in the scenario come from natural gas-fired plants. In this comparison, IHS found that the cost of generating electricity in the reduced diversity case was more than $93 billion higher per year and the potential variability of monthly power bills was 50 percent higher compared to the base case. As a consequence, the study calculates that the typical household’s annual disposable income to be around $2,100 less in the reduced diversity scenario, there would be around one million fewer jobs compared to the base case and U.S. gross domestic product (GDP) would be nearly $200 billion less. The study also says that additional costs would arise if current trends lead to the retirement and replacement of existing power plants before it was economic to do so. “Current trends in power plant retirements, demand and supply balances and public policies require the consideration of the value of power supply diversity in shaping the fuel and technology choices that will determine the U.S. power generation mix for decades to come,” Makovich concluded. You can download “The Value of U.S. Power Supply Diversity” at ihs.com/powerdiversity.